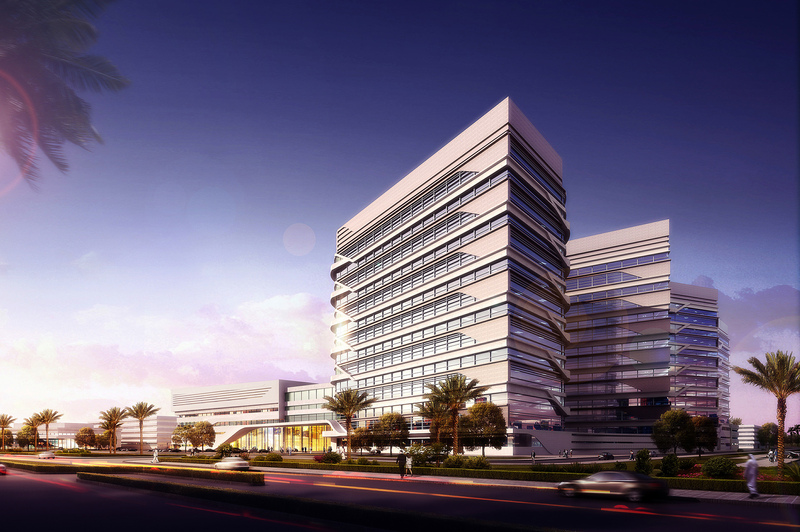 The Al Jahra Hospital project is a 1,200 bed hospital facility, and includes the main hospital building, Dental and Administration buildings, as well as two car parks. Full structural design. Precast GFRC facade engineering. Fabrication drawings of precast elements. Mohamed Abd El-Mohsen Al-Kharafi Contracting Co.